Create a combination of the services you want! Book with the above link. Choose a service, then click "add more services." It's that easy. 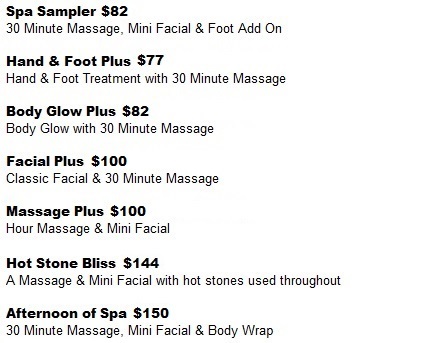 Save $10 when you combine any massage, skincare or body service.